New price for this custom home filled with lots of upgrades! Excellent Condition! Views are expansive, peaceful and relaxing! New Custom Kitchen in 2014 with Millwork Cabinetry, Quartz Countertops, Stainless, Induction Cook top, Wine cooler, etc. All baths new in 2014. A few highlights include the easy flow floor plan, 10 ft ceilings, crown molding, neutral paints, hardwood floors plus Hard Coat Stucco. Perfect for entertaining. En-suite Bonus Room. 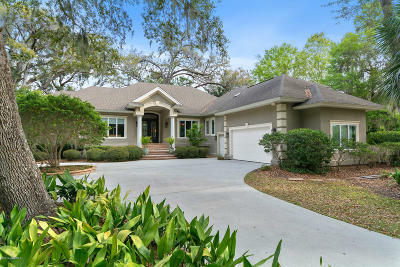 Enjoy Callawassie tennis, golf, state of the art fitness, 2 pools (1 heated), 4 docks, gorgeous scenery & down to earth people. This home and community will pleasantly surprise you! Come see.